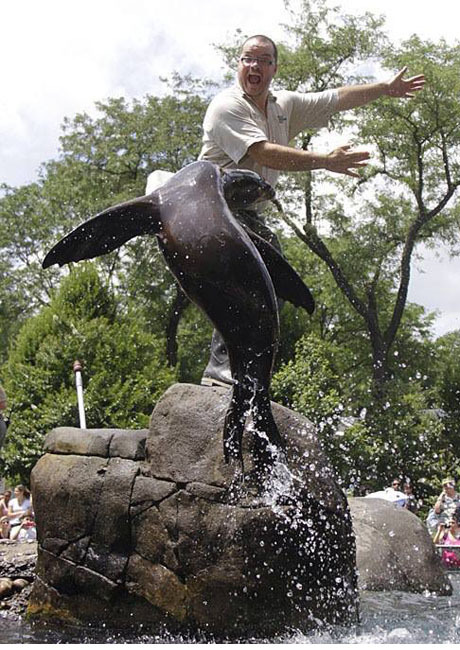 The third week in July is National Zoo Keeper Appreciation Week. I appreciate these terrific people all year long and dedicate this week’s photo montage to the 18 people who make everything great at my zoo, the Central Park Zoo. I thank you, one and all, for all you do – the unsung heroes – each and every day. If you go to a zoo this week, please say ‘thanks’ to a zoo keeper when you see one. Let’s hear it for ALL of the hard working, dedicated Zoo Keepers out there.